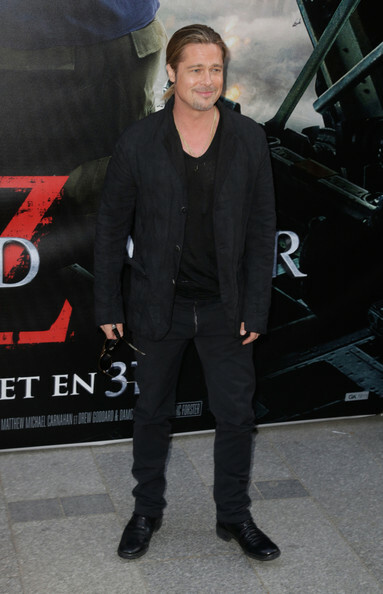 Brad Pitt attending the French premiere of the film 'World War Z' at the UGC Normandie Cinema in Paris. Brad Pitt stuck to an all-black look when he sported a fitted jacket over a tee and jeans. Brad's pair of dark jeans kept his look cool and casual at the 'World War Z' premiere.